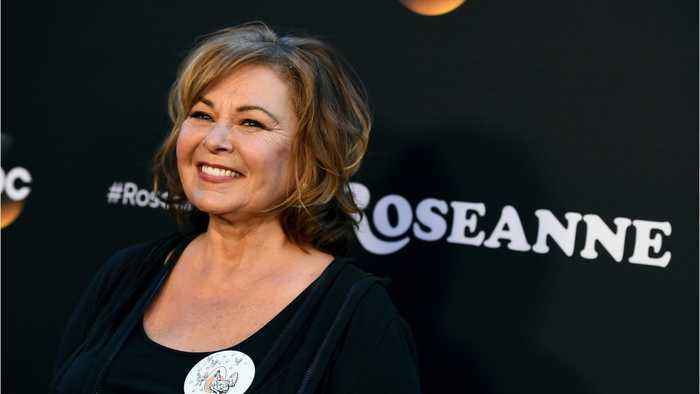 About a year ago, Roseanne returned to super high ratings and a nearly instant renewal just to be canceled a few weeks later. 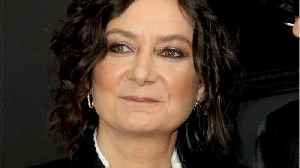 Uproxx reports creator and star Roseanne Barr is now lashing out at former co-star Sara Gilbert. Barr was fired from ABC after posting a racist tweet about a former Obama aide. The network replaced Roseanne with The Conners, starring John Goodman, Laurie Metcalf, and Sara Gilbert. 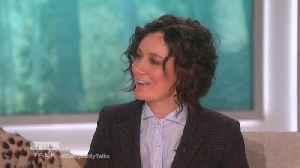 Sara Gilbert shares a special thank you message after announcing she's leaving "The Talk." "I want to start the show by thanking everyone for the outpouring of love after my announcement that I'm.. 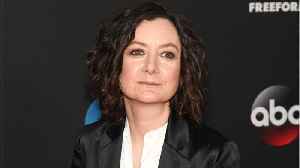 The Wrap reports Sara Gilbert is leaving **The Talk**. 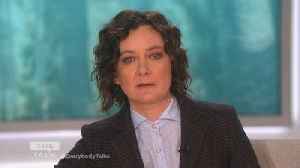 (CNN)Sara Gilbert, host and executive producer of "The Talk," is leaving the table. "This is something I have been struggling with for a while, and going back and forth, but I've decided it's time for..
Gilbert told the audience, “I’m nervous. This is hard to do and something that I have been struggling with for awhile and going back and forth. 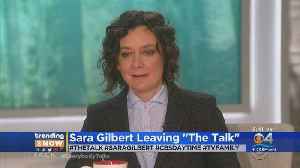 But I’ve decided that it’s time for me to leave..
Sara Gilbert announced she is leaving The Talk to focus on her career as an actress and producer. 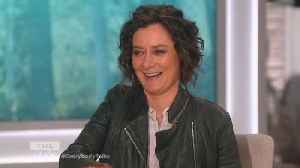 Tuesday on "The Talk" the hosts get emotional as Sara Gilbert announces she will be leaving the show after season 9. Sheryl Underwood says, "I want to say personally, you are an amazing woman. 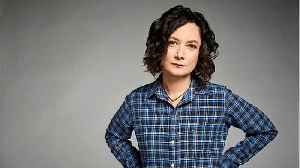 You are..
Sara Gilbert is leaving CBS daytime’s The Talk, the actress and producer announced on-air Tuesday.